LIVE VIDEO: Sessions Testifies Before Senate Judiciary Committee, Fireworks Expected From Democrats - Joe.My.God. 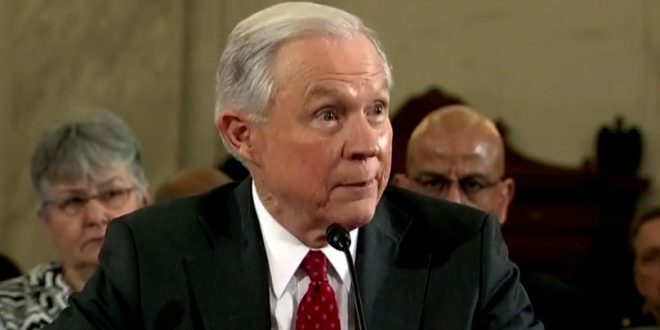 Attorney General Jeff Sessions will once again be in the hot seat in front of his former colleagues Wednesday, when he testifies before the Senate judiciary committee. Wednesday’s hearing will be the Judiciary committee’s first turn to ask questions of Sessions since his confirmation hearing, a sore subject for committee Democrats who have pushed for a chance to question the attorney general on a range of issues, including the Russia investigation and the extent of his prior contacts with Russian officials that led to his recusal from the investigation.